Lock in a great price for Hotel Helmi – rated 8.3 by recent guests! the staff was very friendly, the location was great. One problem was in the overall condition of the hotel, it would need renovation. However what was really unexpected and bad was the temperature in the room. It was really cold and there wasn't any extra cover. One problem was a small heat battery and a large window that didnt have any isolation and let the room unprotected against coldness. Two pillows. Comfy bed. Heated flooring. The ability to adjust the heat accordingly. This room is all I needed to have a good nights sleep. Close to the venue where I was photographing a concert at Logomo. 13 minute walk to the venue. AIR CONDITIONING, BED WAS VERY COMFORTABLE, SHOWER AND BATHROOM CLEAN WITH ALL THE ITEMS. FREE BOTTLED WATER , REFRIGERATOR, BREAKFAST WAS GREAT.. PERFECT IN DOWNTOWN.. Beds were great. Staff was helpful. Property was quiet. It is deceptively close to downtown. Friendly excellent receptionist who speaks Finnish and English but no Swedish. Such kind and helpful staff. This was my first trip abroad and they made me feel comfortable and at home. The bed and pillows were very comfortable. Loved the thick towels! Coffee and tea always available free of charge and the breakfast included with the room was wonderful! 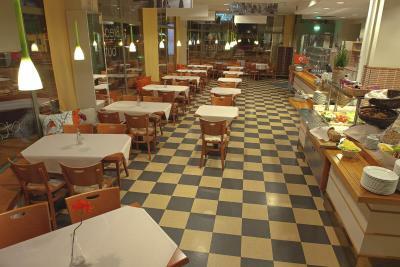 There was a great selection of food and the atmosphere of the restaurant was very pleasant. My short stay here was very enjoyable and I would definitely stay here again! 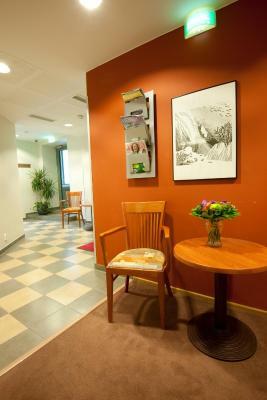 The location was excellent--very near the bus terminal, offering the possibility of regional trips from Turku. The outstanding service of the staff--in particular, Terje, Kamillia, and Ida--was terrific. I had problems with my suitcase and they went out of their way to seek a quick solution. Also, their help in securing bus tickets and restaurant recommendations was particularly commendable and welcome. Breakfast was not included as advertised. No parking at all. We had to go pick up our keys at a gas station. We were not able to change or number of nights stay. 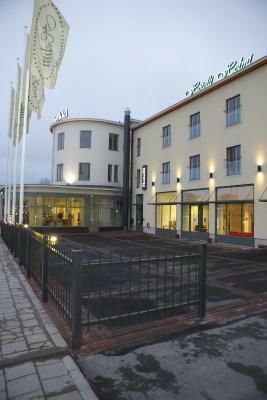 Hotel Helmi This rating is a reflection of how the property compares to the industry standard when it comes to price, facilities and services available. It's based on a self-evaluation by the property. Use this rating to help choose your stay! 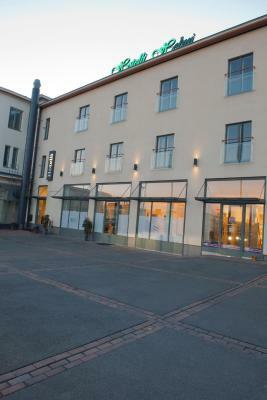 One of our top picks in Turku.Hotel Helmi is located in central Turku, 500 feet from Turku Concert House. It offers rooms with free WiFi and private bathrooms with a shower. 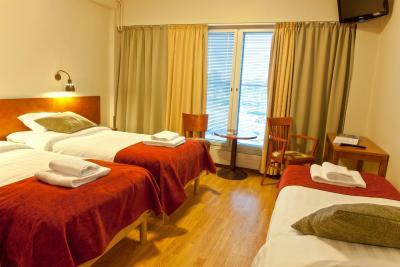 The brightly decorated rooms at Helmi Hotel feature comfortable beds from Unikulma. All include a mini-fridge and a TV. A buffet breakfast is served every morning in the breakfast room. Free tea and coffee is available at all times. The staff is happy to arrange car rentals on request. Turku Cathedral is a 10-minute walk away. Moomin World Theme Park is located 9.9 mi from the hotel. This property is also rated for the best value in Turku! Guests are getting more for their money when compared to other properties in this city. 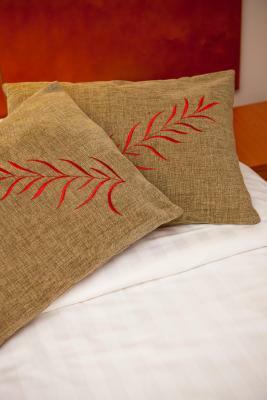 When would you like to stay at Hotel Helmi? 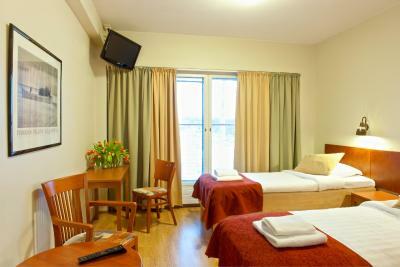 Air-conditioned room that includes a TV, fridge and bathroom with a shower and hairdryer. 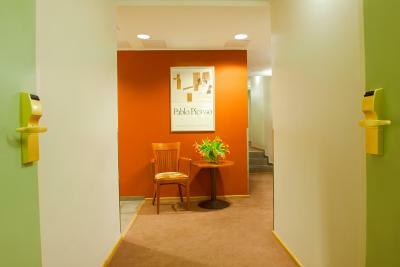 Public parking is available on site (reservation is not needed) and costs EUR 1.50 per hour. Air-conditioned room that includes a TV, fridge and bathroom with a shower and hairdryer. One of the beds is a fold-out bed. Please note that the second bed is a fold-out bed and there is no space for extra beds. House Rules Hotel Helmi takes special requests – add in the next step! Hotel Helmi accepts these cards and reserves the right to temporarily hold an amount prior to arrival. Breakfast was great. 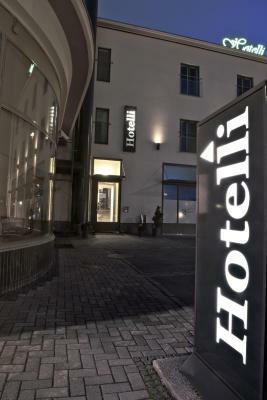 The hotel was not far from the city center. Nice breakfast, kind staff, great location. Fantastic breakfast. Friendly staff. Loved the place! Good breakfast and bed. Next to bus station. Clean and nice. Usual normal breakfast without extras. 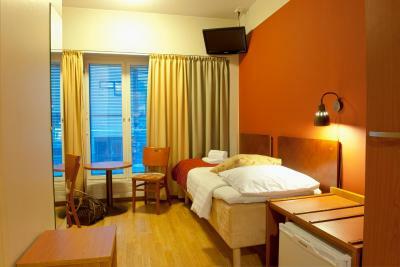 Excellent location, clear and silent room, comfortable bed.